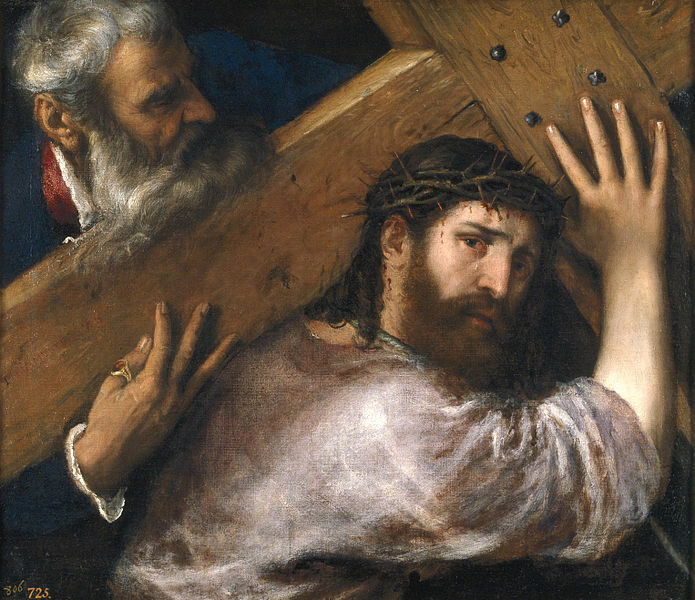 I’m going to assume, for just a moment, that you know some of the details of what Jesus is talking about—that “taking up your cross” means taking up something that is very shameful and painful. Most of the time, I feel like I get the part about carrying my own pain and shame, but what I miss is the idea about my cross being public, being shared with others. It’s one thing to acknowledge your pain and shame; it’s another thing entirely to choose to share it with someone. It’s an easy assumption that we all have painful secrets; what would it look like for you to share them with someone during this Lenten season? What would it look like to really take up your cross in a public way? Is there something you need to share? Interestingly enough, as Jesus carries his own very real, very heavy cross to the place of his crucifixion, we’re told that the soldiers pulled a man out of the crowd and forced him, of all things, to help Jesus carry his cross. So maybe, just maybe, that as we make our crosses visible to others, we find that they will lend their shoulders, their strength, their faith to us, and make our walk just a little lighter. p.s. I the title for this post was inspired by a song written by a good friend of mine named David Greco. He’s a great singer and songwriter, and an even better person. Please support his music and make him famous. This entry was posted in faith, personal and tagged cross, Jesus, lent, mark 8. Bookmark the permalink. thanks for being forced to help me carry my big a– cross. I needed this so much and did not even know it.